One of our greatest challenges in parenting is helping our kids with direction and purpose. Just like us, our kids want to be significant and they want to make a difference. That’s why when our son doesn’t make the 8th grade basketball team, he’s upset- making that team was going to give him purpose. For our freshman, being a cheerleader was going to give her identity- now she’s lost. But what a great opportunity for us to teach them that purpose doesn't come from what they do or what they accomplish. Purpose comes from them doing the best they can with what God has given them. The clatter has finally died down in the Ozarks. A few weeks ago, the noise from the trees was almost deafening and it seemed every few feet, there were strange looking bugs lying everywhere. As it turns out, an odd insect called a Cicada was leaving its mark on the Ozarks. A little background on these creatures is important. After mating, the female Cicada cuts slits into the bark of a twig, and into these she deposits her eggs. She may do so repeatedly, until she has laid several hundred eggs. When the eggs hatch, the newly hatched nymphs drop to the ground, where they burrow. Some Cicadas go through a life cycle that lasts from two to five years. But some species have much longer life cycles, such as the North American genus, Magicicada, which has a number of distinct "broods" that go through either a 17-year or, in some parts of the world, a 13-year life cycle. These long life cycles perhaps developed as a response to predators, such as the cicada killer wasp and praying mantis. A predator with a shorter life cycle of at least two years could not reliably prey upon the cicadas. The Ozarks version is in the ground for 13 years. 13 years! That’s long time to be stuck in a hole! Cicadas live underground as nymphs for most of their lives, at depths ranging from about 1 ft down to 8.5 ft. The nymphs feed on root juice and have strong front legs for digging. In the final nymphal stage, they construct an exit tunnel to the surface and emerge. They then molt (shed their skins) on a nearby plant for the last time and emerge as adults. The abandoned skins remain, still clinging to the bark of trees. 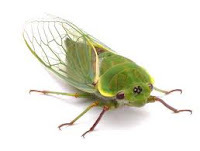 The emerged Cicada lives for about a month, unless it gets eaten, and the cycle begins all over again. 13 years in the ground. Useless. Dark. Immobile. Then, some hidden alarm goes off and they move above ground. Finally. For 28 days. If I calculated right, a Cicada spends 99.5% of its life buried. In the end, it’s purpose is to lay low under ground until the coast is clear, emerge, lay the eggs then pass on after a life (though short) well lived. It’s all about living out our purpose for life. And everyone has a different lesson plan, given by God. Melvin Fleener (name made up- thanks Bri) lives just east of Protem, Missouri. 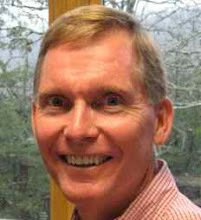 He never finished high school, teaches Sunday school at a small Baptist church and has worked cattle for a living on a small farm all his life. He has a wife and 3 kids. Devlin Stephens has 4 PhD’s and lives in LA. He owns 4 homes, is married and has 3 kids. Both men are successful if they’ve lived out their lives under the direction of their loving God. Like our Pastor used to say, ”I’ve never seen a hearse pulling a U-haul.” That’s what we need to teach our kids. It’s not how much or how little we have but whether we’re using what we have with a purpose. Whether we’re a Galapogos Tortoise (170 year life span) or a Cicada (30 days above ground), our life has purpose if, with God’s help, we’re squeezing every day for all it can give. Whether we’re in a hole or not.